Being able to disseminate information rapidly throughout your facilities is an essential function in maintaining the highest standards in safety and awareness, no matter the environment. 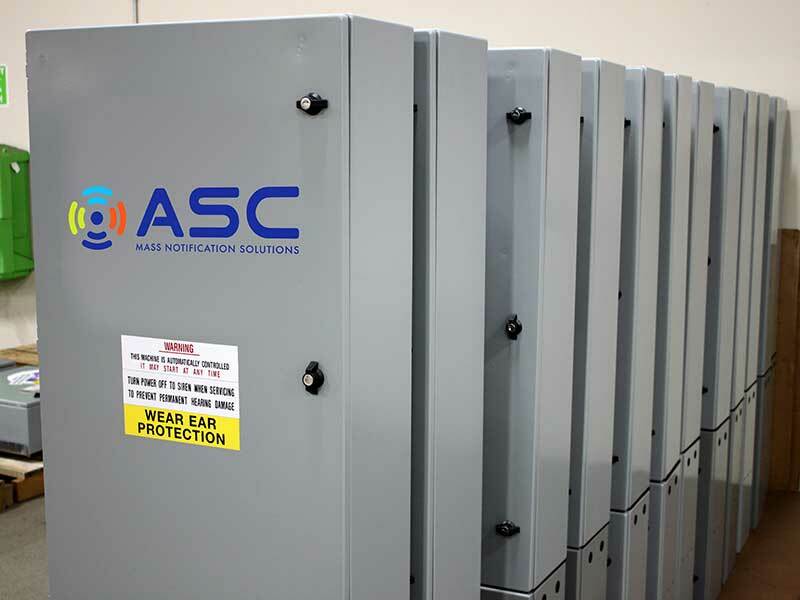 At American Signal Corporation (ASC), our focus on designing and implementing the very best in interior mass notifications systems has led us to be a respected choice for safety and awareness worldwide. In order to continually serve our customers to the highest degree of excellence possible, our holistic approach to interior mass notification systems means that no avenue is left unexplored and no vulnerabilities exist within your system. In designing and implementing these technologies via a tailored approach to your facility’s unique needs, we’re able to fully integrate mass notification and emergency alerts on a level that’s robust, redundant and encompassing. 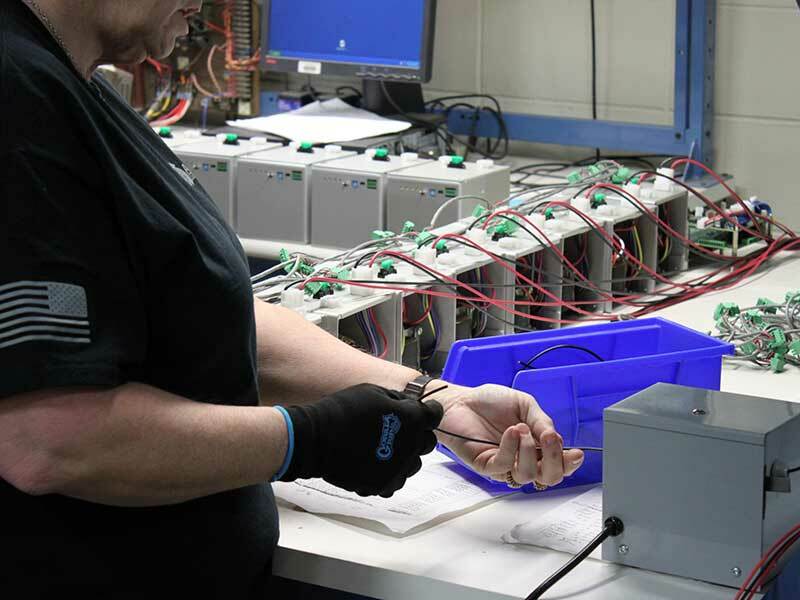 Electronic industrial control assembly. Includes, Stainless Steel enclosures, battery charging system, 6 of 13 programmable tones, public address, 2000 to 3200 watts of audio power to provide signal and voice communication to multiple speaker units. Relay output for activation of strobe lights, RS-232 & RS-485 to network multiple units together, as well as provide analog output to message signs. High-efficiency, 15-Watt compression driver with proven record of outstanding service reliability. Vandal and environment-resistant metal construction for outdoor or indoor use. Reflex projector Model WASO-100 and WASO-100 are for directional sound and signaling distribution where wide-angle dispersion and maximum audibility are required. 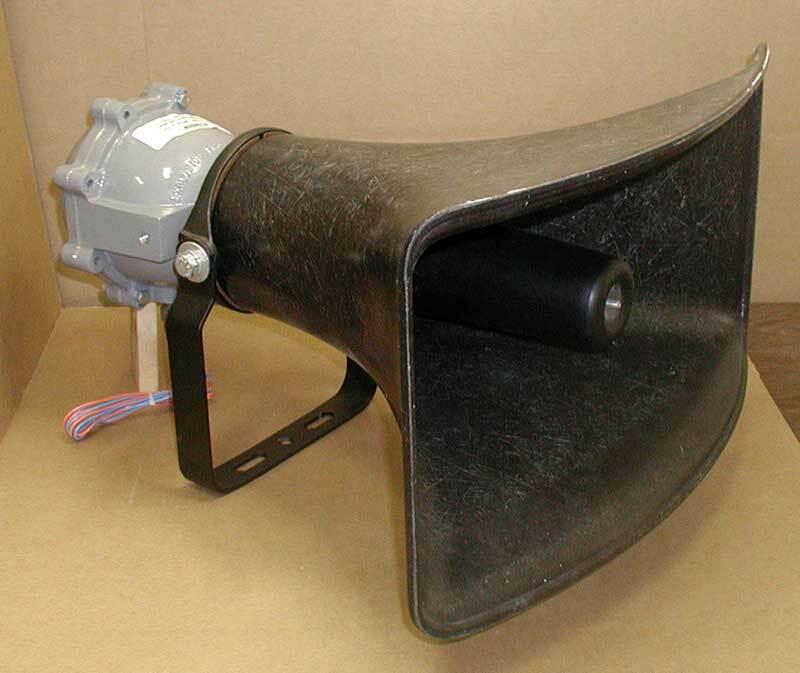 The WASI-30-T & WASI–15-T environment-resistant loudspeakers provide high intelligibility voice and siren tone transmission in medium power indoor and outdoor industrial communications systems. 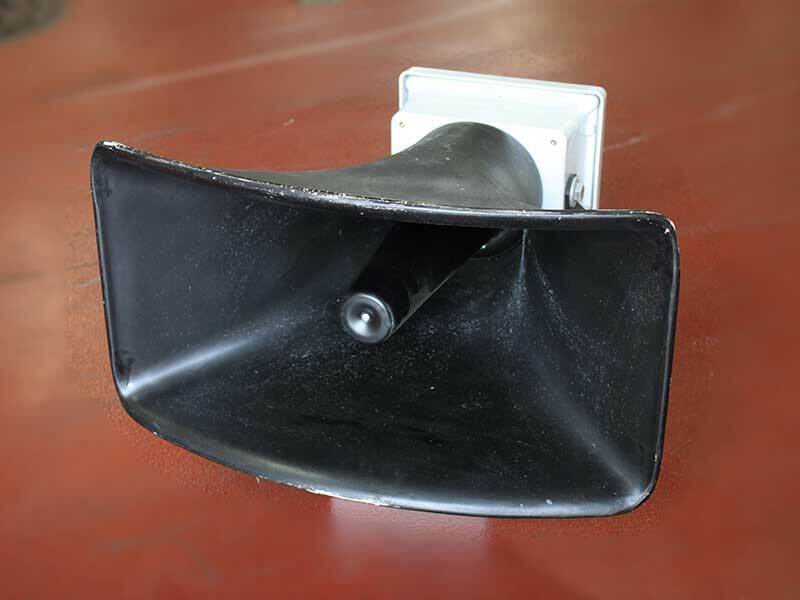 Install ASC’s EXPL series loudspeakers safely into combustible and dust filled areas. Our TAR-900 is a multi-mode alert radio that serves as the perfect solution for emergency communication and mass notification. Compatible with multiple communication methods and protocols, the TAR-900 provides the flexibility and reliability with multiple notification methods. The TAR-900 is the only alert radio capable of providing both a NOAA receiver coupled with a local receiver to allow localized control of escalating events. Or, choose from any of our available input and output channels, in any combination. 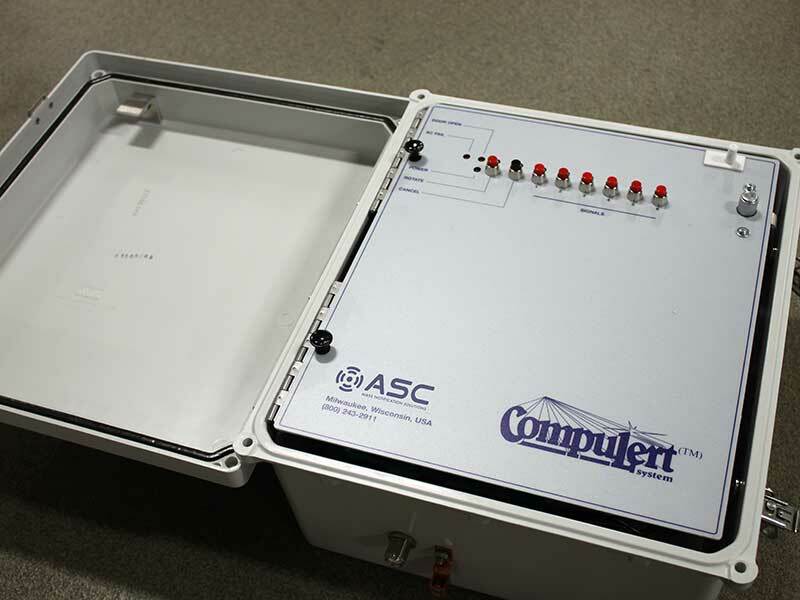 The ISI (Interior System Interface) is a special adaptation of our Universal Remote Terminal Unit (U-RTU™). It is a wireless (VHF or UHF radios) or wired transceiver designed specifically to provide a simple way to interface the (Wide Area) Outdoor Emergency Warning System to interior systems. 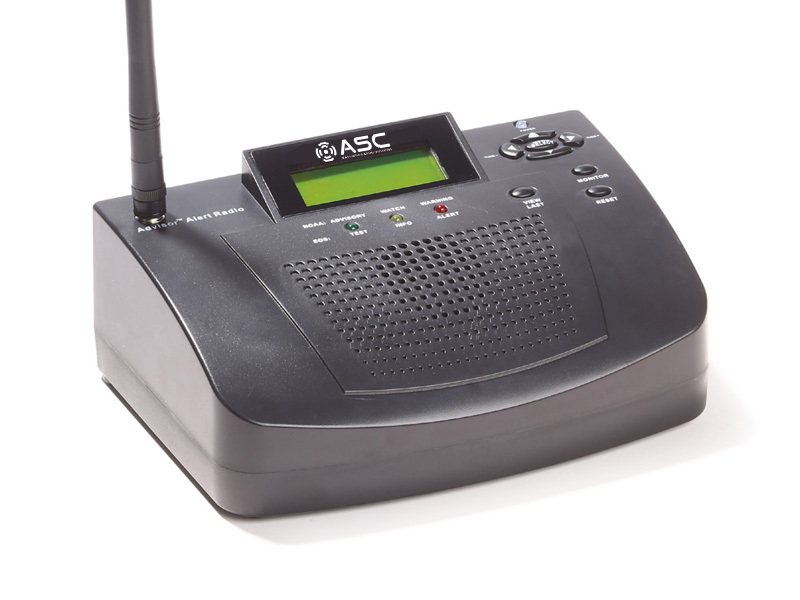 The primary purpose of the ISI is to provide a simple generic interface to almost any interior — paging system, emergency communication system, or voice type fire alarm system used for Mass Notification.